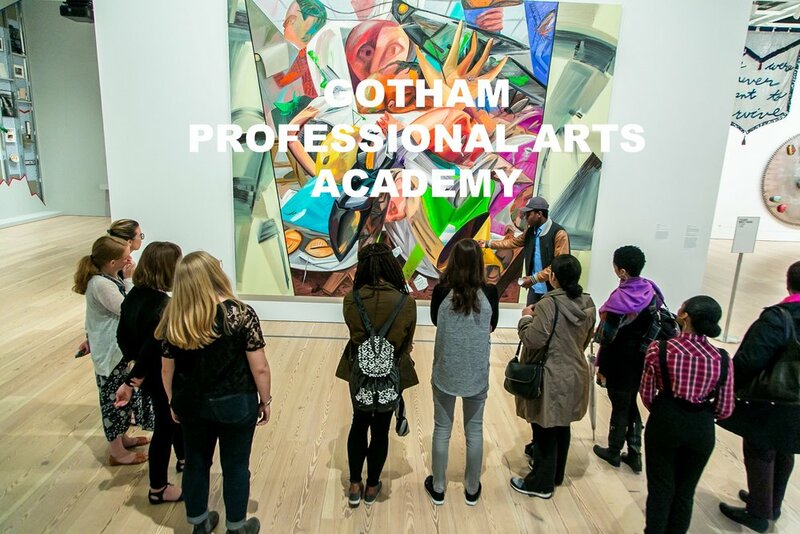 Gotham Professional Arts Academy was founded in 2007 by Alex White. Principal White's vision for great schools was developed during his tenure as an arts educator at Urban Academy, one of the first NYC Performance Assessment Consortium Schools. Among other core beliefs, Gotham believes that students learn best when engaged in coursework that is inspired by their lives. Students' aspirations and interests, as well as the challenges that their communities face, should set the framework for an inviting, yet academically rigorous curriculum. Gotham is committed to providing arts exposure, access and opportunities to students as part of our robust academic landscape. Our students and faculty consistently work to re-imagine the definition of performance and performance space. We help students recognize that a critical lens, thoughtful design, and artistry are driving forces in the creation of impactful art and sustainable communities. Further, the skills and talents developed in our arts curriculum help young minds consider all of the ways in which they can positively impact the larger world around us. Discover our mission, our methods and and our sister schools. There are many ways to support Gotham. Learn how. Visit their website for more about our sister schools.